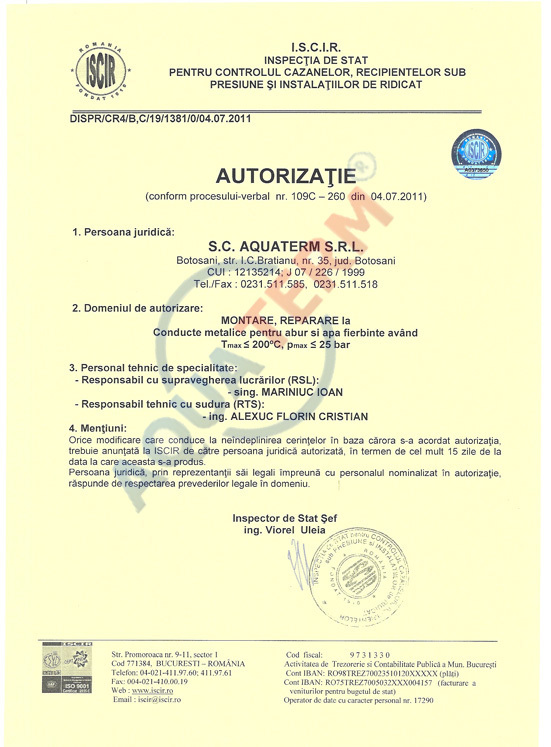 Operation of hot water meters used as cost allocators, authorization no. 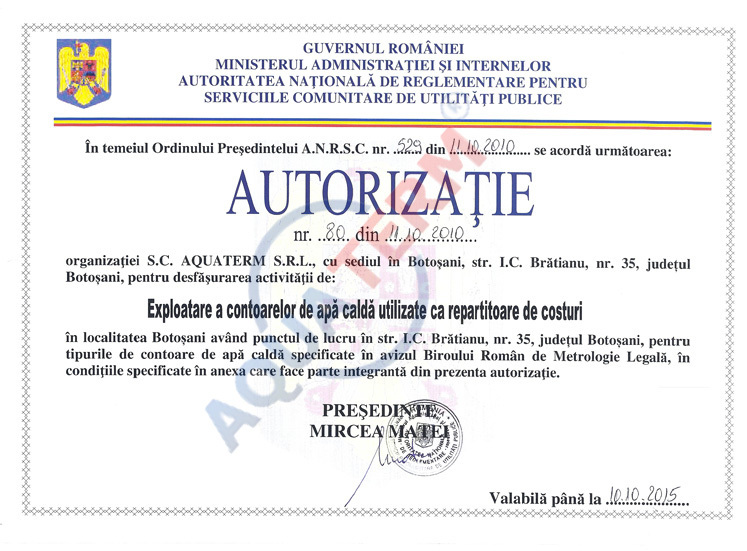 80/2010, issuer ANRSC Bucharest. 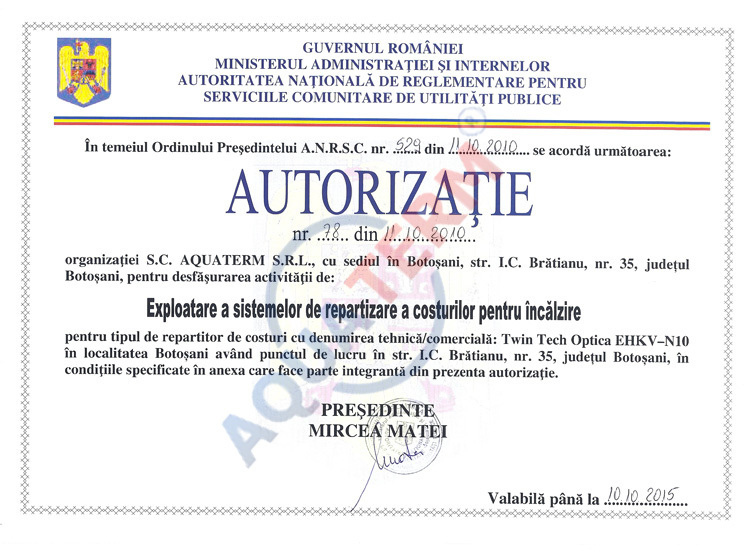 Authorization no. 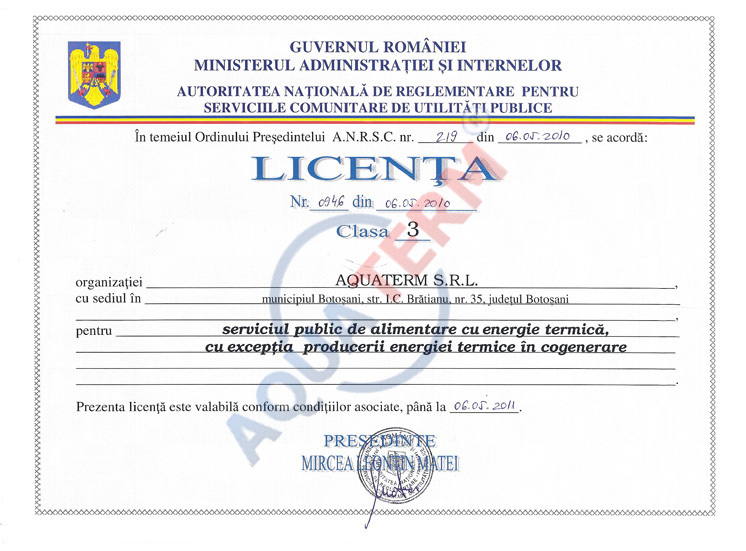 0946/2010 for the Public Service of Thermal Energy Supply, except the thermal energy produced in cogeneration, issuer ANRSC Bucharest. Design of gas distribution systems, PDS type, no. 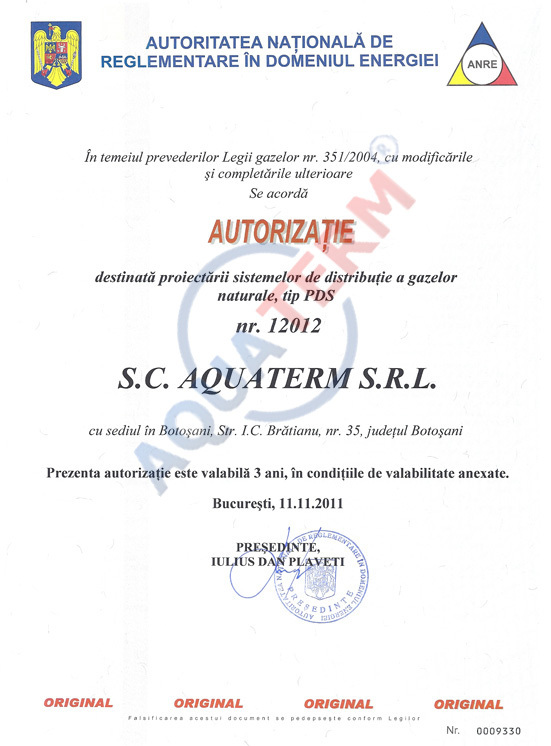 12012/2011, issuer ANRE Bucharest. Execution of gas distribution systems, EDS type, no. 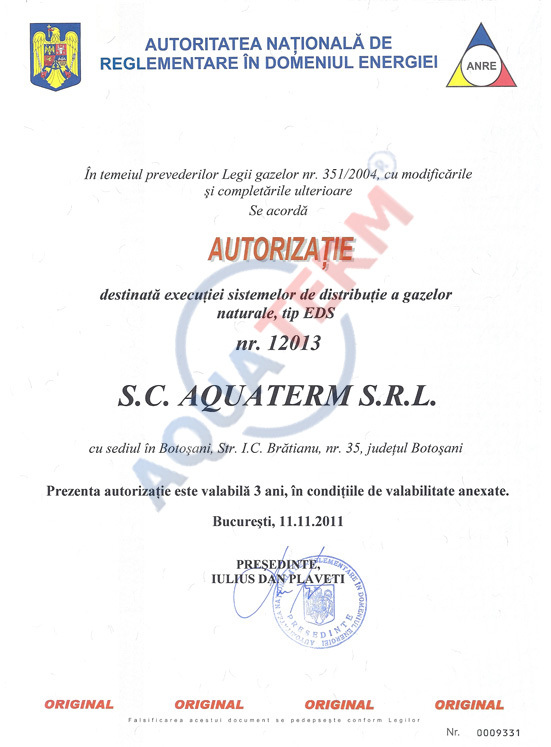 12013/2011, issuer ANRE Bucharest. 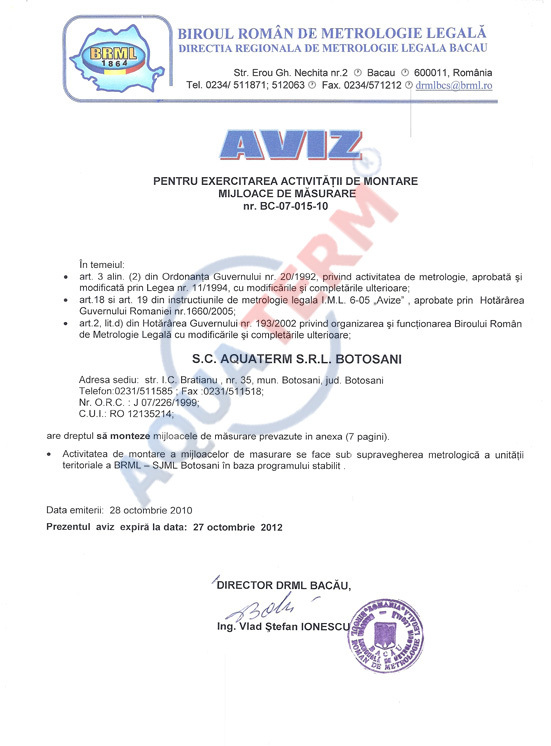 Type B certificate no. 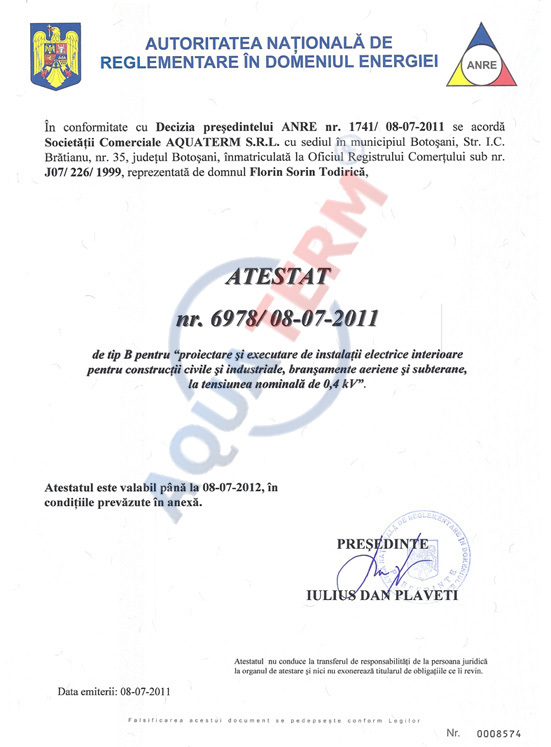 6978/2011, Design and execution of internal electrical installations for civil and industrial construction, overhead and underground connections, with the voltage rating of 0.4 kV, issuer ANRE Bucharest. 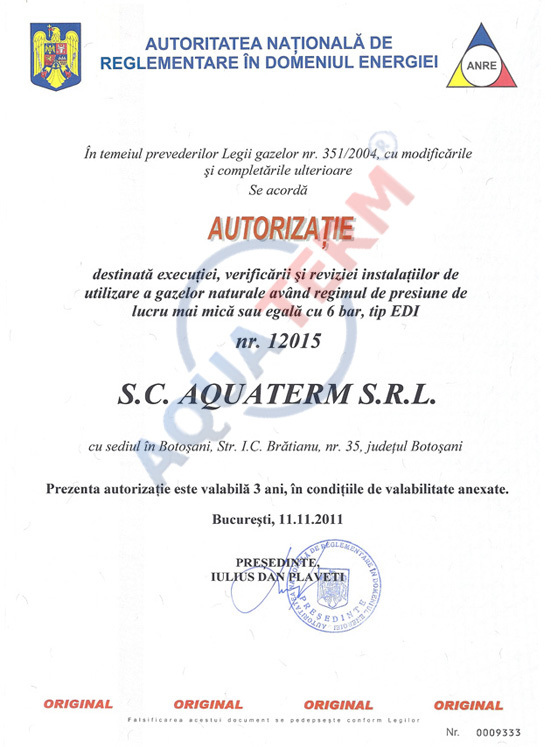 Installation of measuring instruments, BRML no. BC-07-015-10/2010, issuer DRML Bacau. 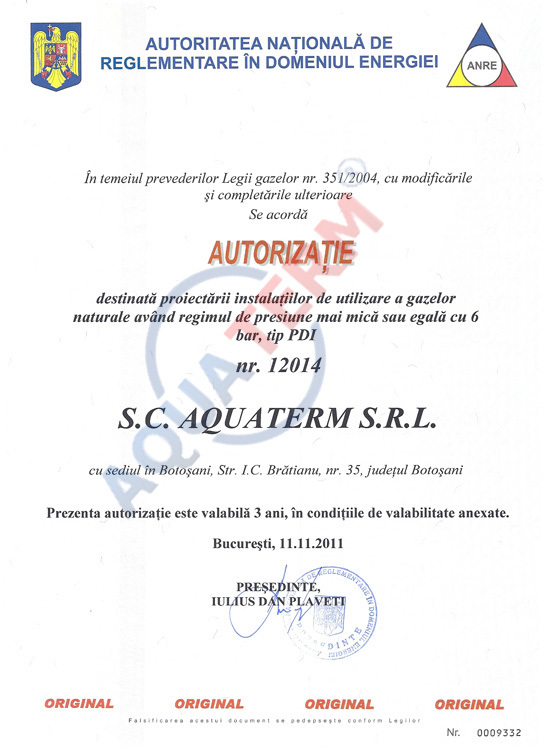 Mounting and repair of metal pipes for steam and hot water, with Tmax ≤ 2000C, Pmax ≤ 25 bar, issuer ISCIR Bucharest, authorization no. 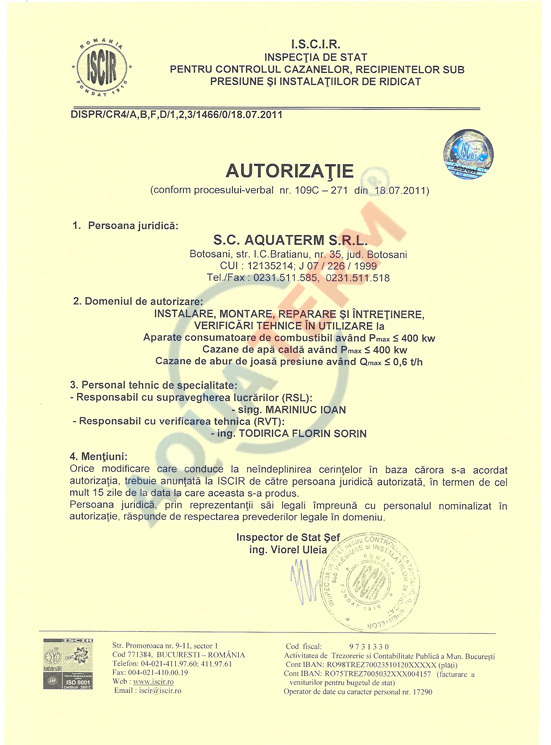 DISPR/CR4/B,C/19/1381/0/2011.